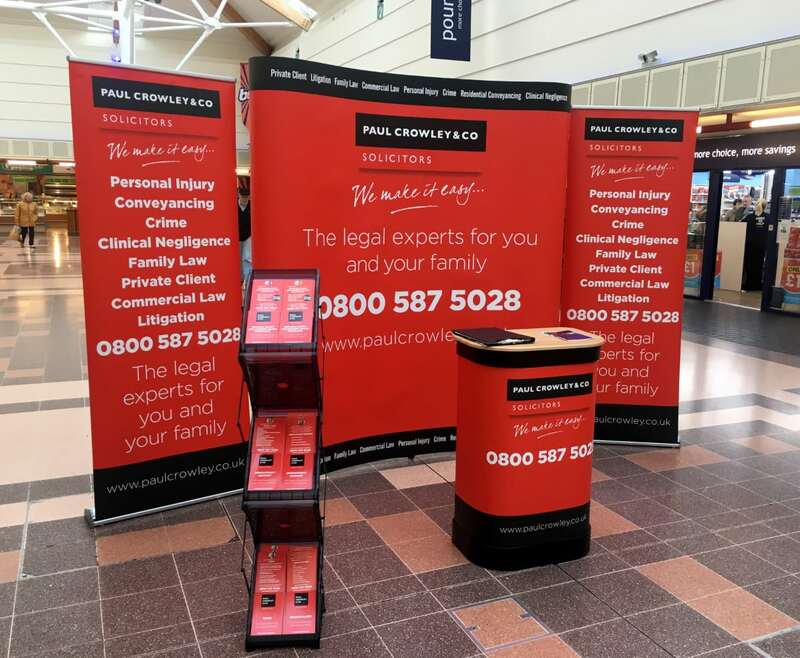 Paul Crowley & Co are once again out and about in the community and this weekend, Saturday 29 September sees them at St Johns Shopping Centre in Liverpool, from 9.00am–6.00pm, to answer all your legal questions. Do you have a legal question you would like to ask… then come and meet the team? Make the most of your time while shopping at St Johns and take the opportunity to come along and visit our stand. You will be met by our friendly and approachable staff, Julie and Alison, who will be available throughout the day to discuss any legal issues you may have. If your claim for compensation is unsuccessful, meaning you don’t win, then subject to you complying with the terms of your agreement, you won’t have to pay your Solicitor any money. We offer a ‘NO WIN NO FEE‘ for Personal Injury, Holiday Illness and Clinical Negligence claims. For a no obligation chat with one of our Solicitors call us now on 0151 264 7363 or email us.